It's been a long month of classes. So far this month, we have spent five evenings going to classes. Because of where we live, it takes us as long to get to class and back as it does to sit through class (two hours and three hours depending on where the class is.) This week, we only have five hours of classes, but they are also my husband's only days off. One week we had seven hours of classes (and seven hours of travel) in three days time. Oh, and did I mention we also have homework in addition to getting the house in order and trying to come up with enough money for adoption expenses? I feel exhausted by most evenings. I feel stretched and not sure where I should focus. Should I focus on my eBay store or should I be blogging? Should I try to work on my Paparazzi $5 jewelry business or enter some contests and sweepstakes? Maybe instead I should do laundry, or I should do homework from class. But then again, I feel exhausted and a nap would be perfect -- nevermind, coffee is my next project. Someone different than usual came up with my husband's work schedule. He works afternoon/evening shift, and each time we have a class he misses work. They have been really good about giving him the time off. But this week he was scheduled for three days off -- I was so excited thinking we could visit his family -- but then had to work the two nights this week we have class. So some trading work days around and there's no visiting family this week. I was really hoping we could -- or at the very least visit a church in Pittsburgh we love going to, but at least we'll be able to go to class. I shouldn't complain though because this past week we had a day off (since I work at home, I take my days off the same day he has his days off) -- we had a day off where we didn't have anything we had to do. We decided to go thrift shopping and found some stuff we could sell on eBay, ate at our favorite restaurant, and won a Ghostbusters Domo plush from a claw machine. The boy we fell in love with never has become available again, and we're looking at a different boy. Private adoptions are expensive. My husband and I have pretty much decided I am going to focus on the money end of things (including fundraising if needed) and he is going to focus on getting the house in order. Things need to be organized, there's work on the house that needs done (currently our furnace isn't working. Have I mentioned it has snowed already? Our bathroom sink is leaking, we have a window that is busted out, and that's the beginning.) It shouldn't be too difficult to get the things fixed, but besides slow going our handyman hasn't been around as much. So that's been a concern to get the house ready for home visits. As soon as our home study is finished, we can move forward with the process. We are currently looking at adopting an 11 year old boy. My mind is just boggled thinking of everything a boy needs -- from his own toothbrush to soccer and basketballs, clothes, homeschool materials, to a fire escape ladder for his room. I recently entered a contest from Amazon.com and am hoping that I win it. I know it's a long shot, but we need so many things it would be a huge blessing. 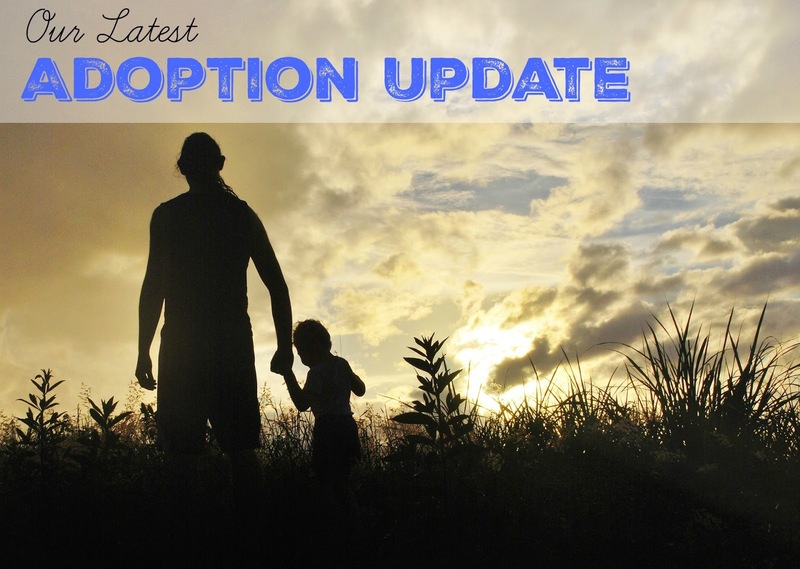 Once our home study is approved I'm going to start an adoption wish list there so that if people want to get us Christmas or birthday gifts, they could get us something we really need toward the adoption. So bottom line: We are tired. There's a lot to do. There is a lot of money to come up with. We are interested in a specific boy. And it all seems to be slow going.